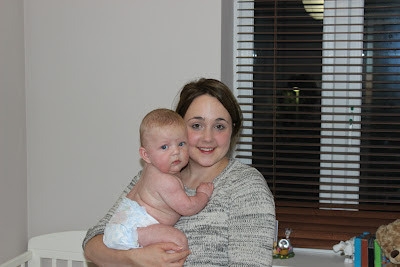 So I have just got in from my third class of baby massage and thought I would blog about it. 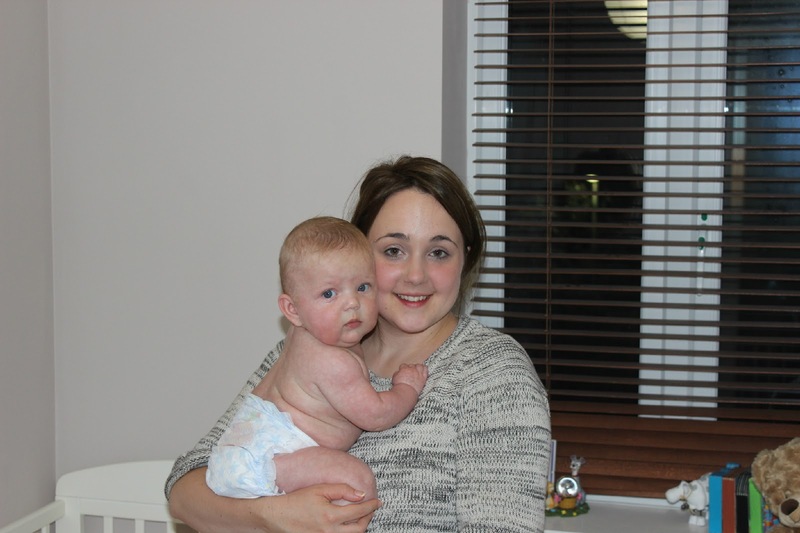 Being a first time mum before Darcie had arrived I had done lots of research into motherhood and babies, and one thing that kept coming up was how amazing baby massage is. So I thought I would give it a whirl. My local sure start centre runs a five week course that you have to book onto and when Darcie was 8 weeks I felt well enough after my c-section to re-enter civilisation, so I gave them a ring and was told that there was a long waiting list and I would be looking at September for a start date. Working out how old she would be I asked if Darcie would be too old and was told heck no! So I popped my name down and patiently waited! At the beginning of September we were given a start date and became very excited! When the time came we were the first to arrive, the room was set out and we took a spot. There were towels for bubbas to lay on and pillows for parents to kneel on, along with some extra virgin olive oil and paper towels. The room was nice and warm with lots of things of the babies to look at and calming music in the back ground. At the beginning of the session Emma, our tutor, told us why baby massage was so important (I will discuss this later) and told us that it was fine to leave some clothes on or we could have them just in a nappy or completely naked. I opted for the nappy part as I know what Darcie is like when the air gets to her bits!!! The first session Emma talked us through legs, bums and feet, the following week was chest and tummy and then this week was arms and hands. Each session all moves were talked through and demonstrated well, Darcie loves baby massage and so I have incorporated it into our bed time routine. The only difference at home is I use Johnson's Bed Time Lotion instead of the Olive oil (not that there is anything wrong with olive oil, I just personally prefer this particular lotion as I think it helps Darcie sleep better). I firmly believe adding this to out routine has helped Darcie considerably. She now know after a bath and massage her bottle will be coming and then it's off to bed. On the odd occasion were time hasn't allowed for this, getting Darcie to sleep is a complete nightmare! So why should you give baby massage a go? When you massage your baby, especially in the early days it helps to lay down the foundations of trust and security which will helps to build a happy and confident relationship with your baby for the future. It can be beneficial for you and your baby in so many ways. Studies have shown how important touch is and its importance for you in helping build confidence and an understanding of the new special person in your life. Creating bonds between you and your baby – As I mentioned before baby massage helps with bonding. Make sure to involve your partners to, daddy will enjoy this experience too and can be something you can do together. Relaxation for you both – Baby massage is fun. The exchange of smiles and eye contact during massage are important in building a relationship of love and trust between you. Her comes some scientific stuff... When you massage the skin, the body produces the hormones prolactin and oxytocin. These hormones help to lower the levels of stress hormones in your body and help combat the symptoms of stress. You will both experience the benefits of these hormones when you practise massage. I have found that if Darcie is quite grouchy a bit of massage, especially on her feet brings back the smiles. Helping your Baby’s Development – Massage can help to encourage your baby’s development by providing them with the vital skin stimulation that they crave. By evoking all of your baby’s senses using massage, you will teach them about social behaviour, language, movement and you can help them to reach there developmental goals. So there you have it! I have not found one reason why baby massage is not good! Some babies may not enjoy certain parts of there bodies being touched but almost certainly there will be at least something that they will enjoy.